Jack-o’-Lanterns, trick or treater’s, hay bales, cornstalks and ghosts. These are just some aspects of Halloween that add up to what is sure to be a decorative and howling good time. But what if the proper precautions aren’t taken for fire safety? It’s often overlooked during this spooky time of year. Check out our tips below to ensure you have a fun and safe Halloween. Did you know that nearly half of decoration fires in homes happened because the decorations were too close to the source of heat? Take precautions in where you place your decorations by keeping decorations as far away as possible from heaters, fireplaces, curtains and lightbulbs. Cornstalks, crepe and dried flowers are three of the most highly flammable pieces of décor. Candles were the cause of 41% of those decoration fires. Battery operated candles are a great alternative. That way you never have to worry about the flame nor will you have to worry about re-lighting them, it’s a win-win. Glow sticks and flashlights are other good alternatives. Be sure to have a conversation with your children as well about the dangers of open flames, flammable objects and heat sources. 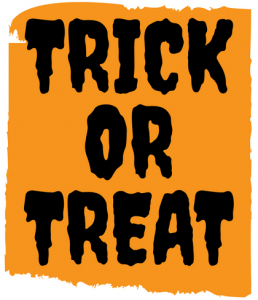 Check to be sure their (or your) costume is flame retardant or flame resistant. This includes wigs, clothing and props. Try to avoid lengthy or baggy costumes that could catch onto something. When they go out trick-or-treating, have them take a flashlight with them for safety. Follow these tips and you’ll be sure to make this Halloween a fire-safe and festive one.